Considering buying a home in North York? Read below to learn about the area! North York is a diverse municipality within the Greater Toronto Area.It has two Subway lines servicing its residents, the Downsview line to the west and the Yonge line to the East. These transportation hubs turned into an engine for growth in North York making it the second fastest growing municipality within Toronto. A suburban lifestyle can be experienced in one of the many new homes in this neighborhood as well as something more bohemian amongst the high-rises that line Yonge Street. Willowdale is the heart of the Korean and Russian communities of Toronto, it also has a large Chinese population. Large-scale immigration has reinvigorated Willowdale and it is now one of the most affluent in Toronto. The Yonge and Finch intersection has seen extraordinary amounts of investment and a new skyline is being built to rival that of downtown Toronto.Many corporations such as Xerox and Nestle have chosen to forgo the traffic and bustle of downtown Toronto and relocated their Canadian headquarters here. The intersection of Yonge and Sheppard has everything one would expect in the heart of a metropolitan city: a subway station, a gym, movie theatres, restaurants and nightclubs. The diverse and affluent residents that call this intersection their home love its green spaces as well as its convenient location. Influenced by the East Don Valley Parklands, Bayview Village provides countryside living at the doorstep of urban construction. An upscale mall called the Bayview Village Shopping Centre adds the feeling of exclusivity that this neighborhood is renowned for. 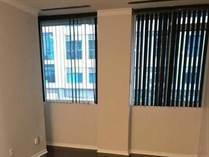 Located both near highway 401 and highway 400 is also important for residents here, as they have easy access to two of Toronto’s most popular highways. The Don River runs through the York Mills neighborhood. Luxury Condos and high-rises dot the shores of the Don where mills once stood. 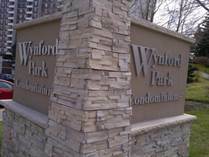 Windfields Park provides residents with tennis courts, green spaces and a community centre. The Don Valley golf course is also located here, providing a full golf experience right in the heart of the city! Don Mills is a planned community that is divided into quadrants, each with its own shopping centre, school, church and park. The Bauhouse aesthetic of this area is evident in its schools and public buildings, giving it an authentic modernist feel. Many Chinese owned restaurants and businesses are located in nearbyHillcrest Village making it a popular destination for many new immigrants from China, Korea and Hong Kong. Bridle Path is Canada’s richest neighborhood by property value as well as household income. This is not a surprise considering that some people here are worth billions of dollars like Alex Shnaider, Toronto’s youngest self-made billionaire. Along with Bridle Path and Forest Hill,Lawrence Park is one of Canada’s wealthiest neighborhoods. 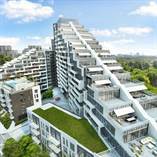 This centralized and prestigious location is bordered by Yonge and Bayview, two of Toronto’s most exclusive streets. This neighborhood retains its “aristocratic” reputation because of its peaceful and tranquil parks, hills and ravines. Many boutique-like stores and cafes line Yonge Street to cater to this neighborhood’s affluent and bohemian residents. NHL Stars Tie Domie and Gary Roberts were both brought up in North York and both ended up playing for the Toronto Maple Leafs. Victoria Village is trying to inspire more North York success in the national obsession by providing its residents with a skating and hockey arena, Victoria Village Public Arena. Sloane road which runs through the middle of this neighborhood is a typical well-to-do street with flourishing businesses and plenty of young families. 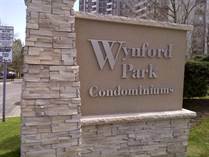 Wilson Heights is located in between Earl Bales Park and Downsview Park and has many smaller parks within its borders. . The green space provides residents with young children plenty of safe space to explore. A little south, the Lawrence Manor neighborhood is the home of Shaarei Shomayim Congregation, the largest modern synagogue in Canada. For many years Lawrence Manor has been the heart of Toronto’s Jewish community. There are many family-run shops dotting Bathurst street south of Highway 401 as well as residential homes and low-rise apartments. North York is a wonderful place to raise a new family or experience and exciting bohemian lifestyle. No matter what the future holds, North York, at the heart of the city is a safe bet. 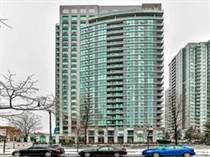 Search North York homes and condos for sale using our interactive map, browse North York street views, virtual tours, featured North York real estate homes for sale or create your own personalized listing search, updated daily. If youl like to have HOT NEW NORTH YOR LISTINGS e-mailed to you FREE with no obligation, please visit our New Listing Notification page to sign up for email listing notifications. They come complete with internal pictures, street addresses, tax information and much more! Not only will you be notified by e-mail of all hot listings that match your search criteria within my web site, but your home search will also be compared against other participating agents’ listings within your desired area(s). All new listings, and just listed homes added to the system that match your criteria, will be emailed to you. Beat other buyers searching on realtor.ca by receiving newest listings delivered right into your mailbox! 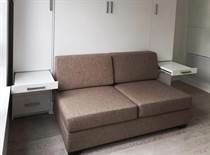 Browse this NORTH YORK homes and townhomes availalbe for sale and for lease here. Try My FREE NEW MLS LISTINGS to search newest listings updated regularly! Not only will you be notified by e-mail of all hot listings that match your search criteria within my web site, but your home search will also be compared against other participating agents’ listings within your desired area(s). All new listings, added to the system that match your criteria, will be emailed to you. Beat other buyers searching on realtor.ca by receiving newest listings delivered right into your mailbox. Natalie has been awarded the designation of Certified JustListed Professional,recognizing successful completion of training on how to work with Internet-savvy buyer prospects and close more transactions. This real estate agent pledges a commitment to continuing education, refining individual skills and providing every client with unparalleled personal service before, during and after the transaction.